Oh Hell! Now that I have devoured book two, where the heck is the conclusion??? I need it ASAP!!! Guilty As Sin still hasn’t come close to satisfy my craving for this delicious trilogy. Although, I find the story development in this second book a little bit slower than the first, it is not any less crazy with all the surprise twists in the plot. Without given away any spoilers you will find a lot more information on both Whitney and Lincoln’s family history and the circumstances aren’t pretty. Troubles continue to haunt Whitney and once again she is ready to bail but this time Lincoln is determined to lock her down. That man is strong-minded and patience; he isn’t going to let Whitney slips through his fingers the second time no matter what costs. 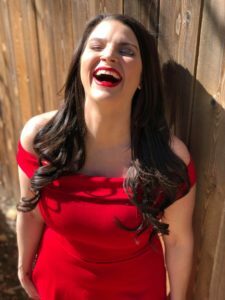 More drama – check. Angst – check. Surprises and suspense – check, check. Holy Hell! The ending of this book got me picking my jaw up from the floor… Are these two ever going catch a break and have a more than deserved HEA? Find out the conclusion in the final book Reveling in Sin. I have a feeling there will be more hurdles and drama, but no doubt it’s going to be EPIC!!! 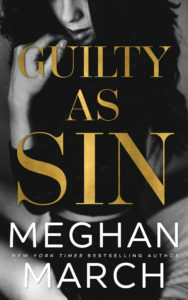 Release Blitz: GUILTY AS SIN by Meghan March.